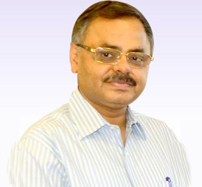 The department of Plastic Surgery is headed by Dr. Ravi Kumar Mahajan (M.S.,M.Ch). He has done fellowship in craniofacial and cosmetic surgery from USA. Plastic Surgery is the super speciality of surgery which is unique as there are no anatomic barriers to its involvement & requires manipulation of skin, soft tissue & bone from head to toe. Broadly there are two divisions of plastic surgery- reconstructive surgery & cosmetic & aesthetic surgery. Plastic surgery is characterized as a surgical specialty devoted to the reconstruction of facial and body defects because of birth disorders, injury, burns, and disease. Plastic surgery is expected to rectify dysfunctional area of the body and is reconstructive in nature. Plastic surgery is also involved with the enhancement of the appearance of a person through restorative/cosmetic surgery. While numerous plastic surgeons choose to complete additional training and perform restorative/cosmetic surgery also, the premise of their surgical training remains reconstructive plastic surgery. Plastic surgery has two branches, restorative/cosmetic surgery, and reconstructive plastic surgery. Cosmetic surgery means to enhance the aesthetic appearance of a person, while plastic surgery may incorporate this, or just the reconstruction (reconstructive surgery). Myths: Some sort of plastic surgery is used in plastic surgery. This is wrong misconception. Reconstructive Surgery: Reconstructive surgery can be done from head to toe for congenital problem; diseases or injuries acquired during accidents or may be post cancer reconstruction of body parts. Plastic surgery incorporates various distinctive procedures that usually involve the skin. Operations to remove abundant fat from the abdomen ("tummy tucks"), dermabrasion to acne scars or tattoos, and reshaping the ligament in children's ears ( otoplasty ) are basic uses of plastic surgery.